You better believe that they were filled with cabbage and stored away under the countertops until they were bubbling away. Fermented foods are deeply rooted in the necessity to store food for longer periods of times without refrigeration. Cabbage was natures answer to the perfect food to take on this challenge. 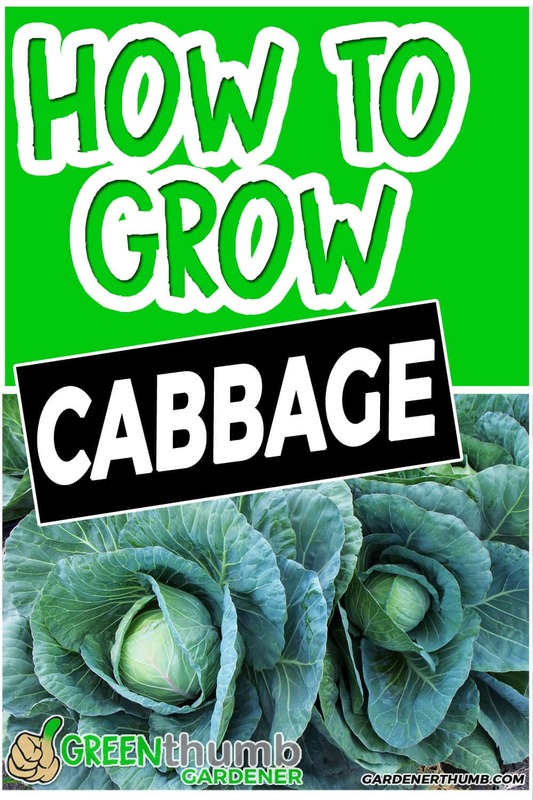 Growing cabbage is very simple to do and can be grown in the spring and fall months. Cabbage seeds germinate best in warmer soil temperatures, so giving them a head start in the early spring months is best. Cabbage requires up to 1 square foot to grow fully and even watering throughout its growing cycle. Cabbages require a heavy amount of nutrients to mature fully. Harvesting of cabbage usually takes approximately 70-100 days from seed to table. Cabbage (Brassica oleracea) can be dated back to about 1000 BC in Europe. It was found in many dishes during the Middle Ages. The Romans and Greeks would use their cabbage varieties to treat and seek relief from gout & headaches. Cabbages spread from Europe into Mesopotamia and Egypt as a winter vegetable and later made in ways throughout Asia and the Americas. During the 17th and 18th centuries, cabbage became very common in countries like Germany, England, Ireland, and Russia as pickled cabbage was standard. Sauerkraut was used to prevent scurvy by some Dutch, Scandinavian and German sailors as they traveled the seas. Kimchi is a staple in Korea and was dated back as far as 37 BC. Today, napa cabbage adorns many Korean family gardens to make their winter supply of it. To me, the history of cabbage highlights the importance of using food as medicine and long-term food storage. It is such a healthy food source that everyone should have it in their garden. Cabbage is eve woven into our everyday culture. You must remember Cabbage Patch Kids if you were a child or parent during the 80s. Yah, parents were fighting over their chance to get a cabbage doll under their Christmas trees, so why not get it in your garden now. Growing cabbage is such a rewarding food crop to grow. The best part of cabbage growing is that it is a super versatile vegetable that it is fantastic for long-term food storage. You can make Sauerkraut, Kimchi, or just plain old store it straight up in your root cellar. It is one of my favorite vegetables to cook with as I love my cole slaw and throwing it in my stir-fries. 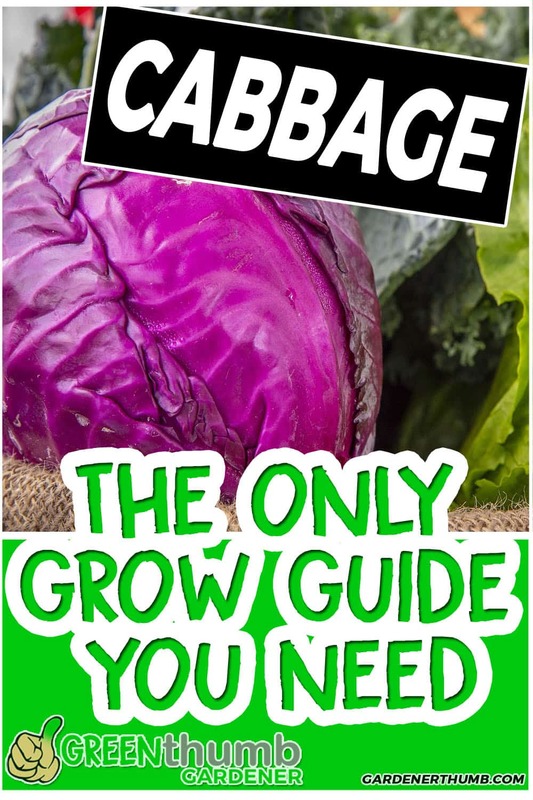 You may think of cabbages as one of those vegetables that looks hard to grow, but trust me you want to master growing cabbage. It stores extremely well and keeps for long periods of time. This is super vital if you want to provide healthy fresh food for your family. Growing your own cabbage is so much better than what you would get at the supermarket. Here are a few other cabbage benefits that you didn’t know you needed to know. Grow Cabbage twice a year – Everyone loves tomatoes, but it really is only one season long unless you master growing it indoors. Cabbage can be grown in the early spring and the Fall/winter time. In some parts of the US, you can even overwinter your cabbage. Wouldn’t that be cool to have a thriving garden during Christmas? Improves your Health– Yes, this sphere of infinite leaves that we call cabbage is loaded with Soluble Fiber, Potassium, & Vitamin K. These are just a few of the key nutrients that one should look for in a healthy food source. 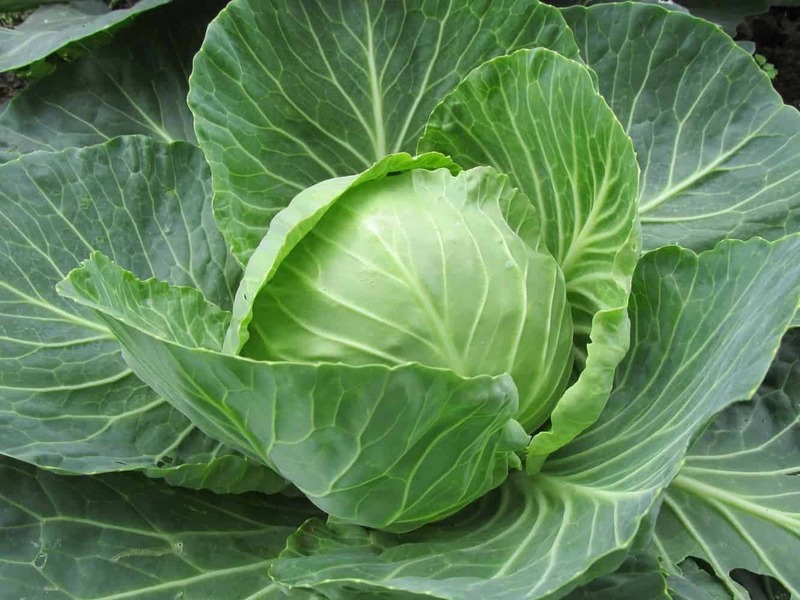 Soluble fiber has been shown to lower cholesterol levels and 40% of cabbage is packed with this stuff. Cabbage is also packed full of vitamin K1, with 85% of the RDI in 1 cup (89 grams). Vitamin K plays a critical role in blood clotting. Fermented Food Powerhouse is smart food – Two food comes to mind when I think of cabbage – Sauerkraut and Kimchi. These 2 fermented foods are extremely popular in Europe and Asia and really making a come back here in the US lately. Lacto-fermentation and pro-biotics have massive health benefits for your gut. They say the gut is your second brain, so these foods make you smarter. 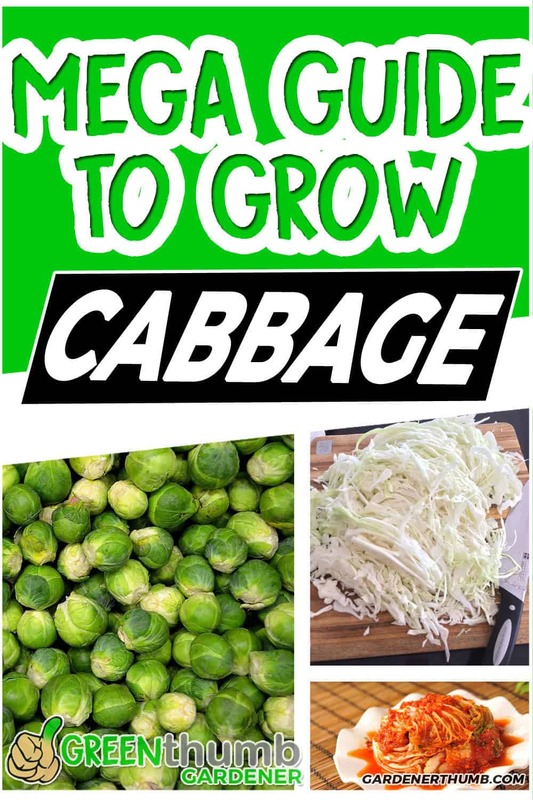 Growing cabbages is one of those unique vegetables that can be grown during the spring and fall times of the year. I recommend that you start the cabbage seeds in seedling trays prior to planting in your garden or container. You can get a head start while it is much colder out for the spring planting and not crowd your summer garden for a fall crop. This guide will focus on planting from a seedling and directly into a ground garden bed or raised bed garden. Feel free to modify these steps if you plan to plant your seeds directly into your garden bed. You can also use containers for growing cabbage. Fertilizer or compost– Giving the cabbage a good start of nitrogen is definitely needed if you don’t use the inoculate. It is best to start with a balanced fertilizer with an NPK ratio of at least a 10:10:10 to 14:14:14. Seedling trays (optional) – It is recommended to start these in a seedling tray to maximize the growth period. The summer garden gets crowded this time of year, so save some space and start the cabbage plants in seedling trays. Container (optional) – This guide focuses on planting directly in your garden from seedlings. However, cabbage plants do well in containers of at least 12 inch deep and at least 18 inches in diameter for most varieties of cabbage. Place 1-2 seeds in each seed tray spot. Keep seed trays moist throughout the growing cycle. Thin each seedling tray to have 1 plant per seedling tray section. Start by identifying the area that you want to plant your cabbage in. Ideally, a place that has full to partial sun is best for cabbages. Work in your compost or fertilizer into the soil prior to planting. This will help ensure that you have a good supply of nutrients to promote growth for your cabbage plants as they continue to grow. Plant your cabbage plant in the hole you just dug. Space each plant at least 6 inches apart for smaller heads and up to 12 inches apart for larger heads spaced in rows spaced 1-2 feet apart. Cover the cabbage plants with the remaining soil & water in. It is recommended to let the cabbage plants grow for 5-10 days before you add liquid fertilizer to your cabbage plants. Growing cabbage does require full sun. You want to select a space where it has access to full sunlight for at least 6 hours. You also may want to have some partial shade for the afternoon if you plan to grow cabbage in the summer for a fall harvest. The reason is it is extremely hot out during this time of the year for areas closer to the equator (think Southern US). The morning sunlight is amply for it to grow successfully. Be mindful of the position of the sun as you plan out your garden in case you have structures or other tall crops close by. Cabbage can be grown as an early to late season crop. I know what you are thinking, how can I eat coleslaw with my hot dog during the summer. Fortunately, cabbage stores well, so you will be fine. It does not do well in the heat, so growing cabbage during the summer will be difficult in your outdoor garden. The times of year that are best for growing cabbage is fall and spring. You will want to start your cabbage seedlings about 10- 12 weeks before your last spring frost date. This will give it ample time to fully mature enough to transplant in your garden. You can direct seed about 5 weeks before your last frost date, but its best to start in trays. They will prosper in the cool spring weather, so consider your location if you have much warmer temperatures in the spring. Consider starting your cabbage plants about 12-16 weeks (depends on variety) prior to your first frost date for a fall crop. Again, the cool weather is vital for the cabbage plants. The heat can cause the plants to bolt if they are mature or dwarf if they have not fully matured, so its best to grow cabbage during these times. What would anyone want to plant carrots next to tomatoes? This was the logic behind a great vegetable gardening book that highlights plants that do well near each other. It has long been known that some plants will naturally repel other harmful insects. Following these guidelines are an excellent way to provide a better environment for your cabbage. Cabbage does require a good amount of water to flourish. Supply ample amounts of water until the head forms. You can dial back on the watering once the head is formed and firm. Generally, cabbage plants need about 1 1/2 inches of water per week until the head has formed. You can then cut back to just shy of 1 inch of water per week. You must make sure that it has even amounts of water to help the cabbage plant from being stressed. This stress can cause the cabbage plant to bolt after it splits. Refer to the section of Cabbage Splitting below for more information on how to fix this. Cabbage plants require a heavy dose of nutrients throughout the growth cycle. It is recommended to start with a good amount of balanced compost as they require many nutrients to get started. A good compost blend that will help is using vermicompost or compost from worms. You can also use a good mix of aged cow manure, aged chicken manure, wood ashes, greensand, any other organic materials to prepare your area prior to planting. You also can give it a balanced feeding of liquid fertilizer a week after it has been planted, so the organic materials have had some time to break down in the soil. Cabbage plants also do well with regular feedings once it is established. The best way is to side dress the plants with some compost about 4 weeks after transplanting them in (8 weeks from the start of seed). 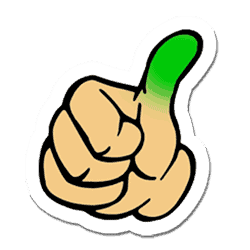 Check out some information about fertilizer in our series found here. Cabbage maggots – These maggots are white, legless, and about ⅓ inch long. Typically the form in groups and feed on the root part of the cabbage. Cabbageworms – These worms are very small green larvae. They have a few faint yellow stripes and will much on the cabbage leaves and stems. Cabbage Loopers – These are moths and looks like a loop when it is crawling hence its name. Black Rot – Wet humid conditions are ripe for the black rot to develop. Affected areas turn brown and dry out, often leaving a triangular-shaped lesion on the leaf margin with one point of the triangle directed toward the midrib. Fusarium Wilt – The leaves turn yellow as fusarium wilt develops. Eventually, the cabbage plants start wilting and dyes. Soon after yellowing appears, the water-conducting tissue becomes reddish brown, usually first on one side of the stem. The disease is most common in the summer months. This is always the best part of growing cabbages. It is time to actually pick that sucker and start making loads of sauerkraut and coleslaw. Who you kidding every step in the stage is fun except dealing with the bugs and diseases unless you like squishing cabbage worms? This part is broken up into early and late season cabbages due to the differences in what to look for when you are harvesting. It is always best to track your days to harvest to get a rough idea of when they are ready to pick. Keep in mind that factors such as sunlight and other environmental conditions can change this of course. Splitting refers to the point where the cabbage will try and complete its life cycle. This means that cabbage will actually split open and bolt. A shoot will start to emerge if left on its own where it will begin to flower before it goes to seed. This is great if you want to save some seeds, but the cabbage doesn’t taste great once it bolts as it directs its energy to the flower stalk. When the cabbage heads are firm, give the entire plant a slight twist to break some of the roots. You can use your spade shovel to gently cut a few of the roots on one side of the plants. Plant cabbage varieties that are less prone to splitting. Refer to the varieties section below for a few recommendations. Early cabbages do not store very well. These are best for eating sooner than later. Late cabbages are usually the best types for storing. They do well to last through a long winter if properly card for. Heads tend to be much more dense and firmer. They also are much larger than early season varieties. You can actually cut it from the root and get another small cabbage if not too late in the season. Perfect to use in salads. There are a few options for storing your late cabbage plants. Storage of cabbage plants really depends on how long you want to store it. Refrigerator storage of cabbage– It will keep in here for about 4 weeks. You may notice a slight odor as the cabbage stores. This is normal and does not mean it is bad unless past the storage period. Root cellar – You can pull up the stems and outer leaves and all. Store the cabbage heads in a cool, dark area such as a cellar. you would place it on the shelf with roots facing up and wrapped in newspaper or other similar paper. Garden mound– This option requires that you dig a hole that is about 2-3 feet deep and line it with straw. You would then cover up with straw and a tarp of some sort to survive the winter period. Here is a list of the different varieties of cabbages to grow in your garden. They are grouped in the 4 main varieties of cabbage: Early Season Cabbage, Late Season Cabbage, Red Cabbage, and Savoy Cabbage. These types are also best for heirloom or open-pollinated plantings to ensure you can save these seeds for planting future cabbage crops. Early Jersey Wakefield Cabbage – 70 days to harvest. Been around in the US since the 1840s. Heads are small and conical with a delicious mild sweet flavor. Golden Acre Cabbage – 65 days to harvest. Popular since the 1920s. Has a solid dense head and weighs about 3-5 pounds and not best for storage. Premium Late Flat Dutch Cabbage – 100 days to harvest. This cabbage is a tried and true giant flat cabbage that is perfect for storage since the 1860s. Glory of Enkhuizen Cabbage – 90 days to harvest. Has medium to large hard round heads. These are perfect for storage and excellent for kraut. Brunswick cabbage – 90 days to harvest. An heirloom from Germany. This is mainly green with a drumhead shape. Excellent for coleslaw & kraut and is also a solid choice for winter storage. Red Acre Cabbage – 90 days to harvest. Very popular and short-season red cabbage. Heads are round and weigh in about 2-4 lbs. Excellent variety for storage. Mammoth Red Rock Cabbage – 90 days. A large heirloom cabbage from 1889 with deep red heads that have good flavor and are very colorful. Red Express Cabbage – Open-pollinated red cabbage, that does really well in the northern tier of USA. Compact plants, extra early production of solid, split-resistant oval heads to only 2-3 pounds. Aubervilliers Cabbage – 70 days to harvest. Crinkled leaves produced within dense heads. They typically weigh about 3lbs or more. Perfection Drumhead Savoy Cabbage – 95 days to harvest. An heirloom that was introduced before the 1880s These are large savoyed leaves that have a mild and sweet flavor with compact short-stemmed plants. January King Cabbage – 160-210 days to harvest. This cabbage is a very winter-hardy cultivar and adorned with semi-savoy leaves. The heads weigh 3-5 pounds. Know in England as one of the best-tasting cabbages.